It’s currently 2018, and we’re all familiar with the curious-looking Segway. They’re those strange upright two-wheeled vehicles that you see groups of tourists gliding along at relatively slow speeds, getting in the way of traffic and inducing road-rage in the most mild mannered of people. Many police forces across the globe have adopted them as modes of transport, and disability activists are pushing for them to be marketed as medical devices to aid those with mobility issues. So where did these bizarre machines come from, exactly? In this article we’ll cover everything there is to know about the Segway PT, including the history, where you can ride a Segway in South Africa, and the strange death of the company’s owner. We hope we have your interest piqued, so read on to discover more! The story behind the invention of the Segway is a rather heart-warming one, starting with creator Dean Kamen who was tired of the ineffectiveness of modern wheelchairs. The world is a very uneven place, filled with cobbled streets, winding stairs and unfinished road surfaces, a true nightmare for those with mobility issues who just want access to the places that able-bodied people take for granted. The problem with this, according to Kamen, is that these tough terrains are difficult to balance on, and so he invented a self-balancing machine that could overcome obstacles and changes in elevation (a far cry from his first invention at the age of 5; an automatic bed-maker). The result? A machine that reacts to your movements, moving forward or backward depending on which way you’re leaning, and remaining upright and still when you step off. Segway personal transporters can climb up and down stairs, turn on the spot, and even travel off-road over grass, dirt and rocks, making them great for a whole host of activities. Better still, because they’re lithium-ion battery powered, they give off zero emissions and are far better for the environment than petrol or diesel-powered vehicles. The top speed may only be 12mph, but for short journeys this really isn’t a problem. Segways were first available to the public in early 2002 via Amazon, and a new model can currently be purchased for around R35,000. The problem users are facing today, however, is the vague rules and restrictions applied to Segways in regards to road usage, and how Segways are classed on the vehicle spectrum. On private property, Segways can be used freely, and many companies are now training their staff to use them around large warehouses as long as the correct procedures are laid out. In the USA, it depends on the state as to whether you can ride a Segway on sidewalks, roads, and public pathways, and in the UK, Segways are illegal on pavements but are allowed on roads providing the driver has registered the vehicle, taxed and insured it, and has a valid driver’s licence. In South Africa, the laws are slightly less set in stone. 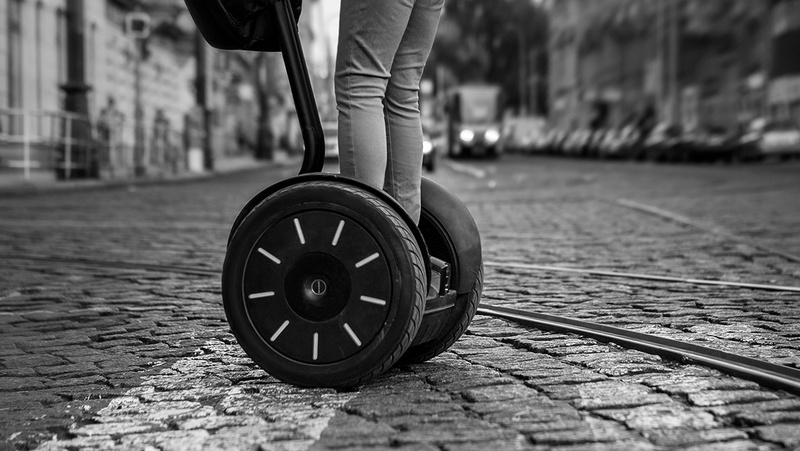 As of late 2015, the Department of Transport had yet to confirm any rules or regulations on Segway use, and nothing seems to have changed since then. That said, with the increase in other countries accepting Segways as legitimate modes of transport, South Africa shouldn’t be far behind – and that doesn’t mean you can’t find places to ride one! 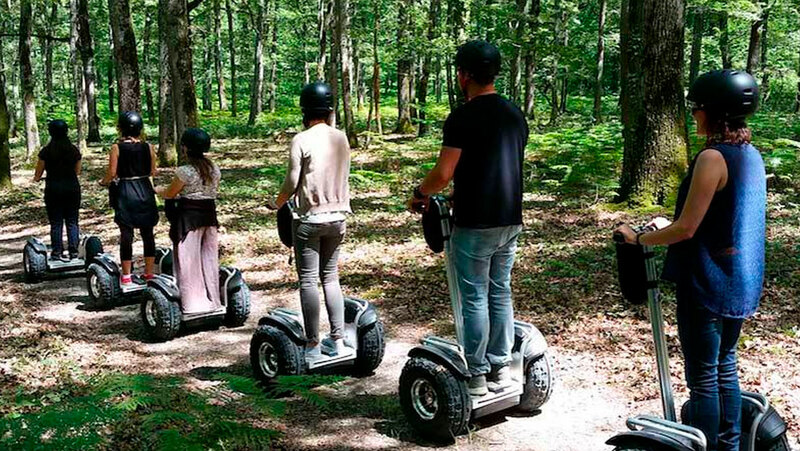 Since Segways are expensive to buy and fall under a lot of road laws, the tourism industry is currently leading the way in making Segways accessible to the public. The USA and Europe may have countless city Segway tours, but Segway experiences in South Africa take place in vineyards and nature reserves, far from the hustle and bustle of the general population. 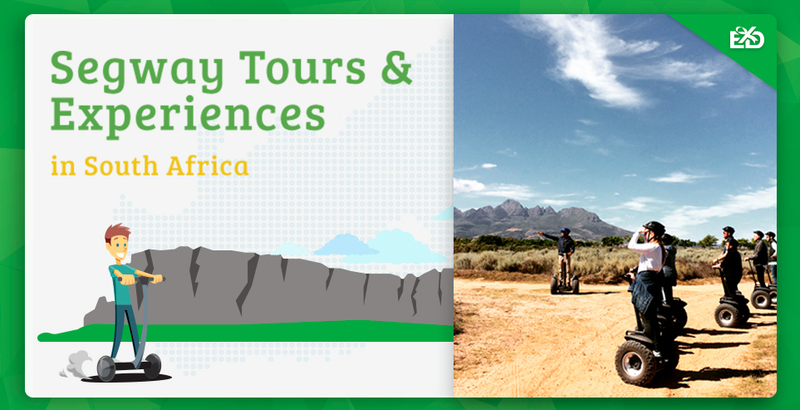 A Segway tour is the perfect way to experience the stunning scenery and weather of South Africa, as you can cover more ground and still be immersed in the natural beauty – read on to find out just where you can hop on these futuristic machines across the country! 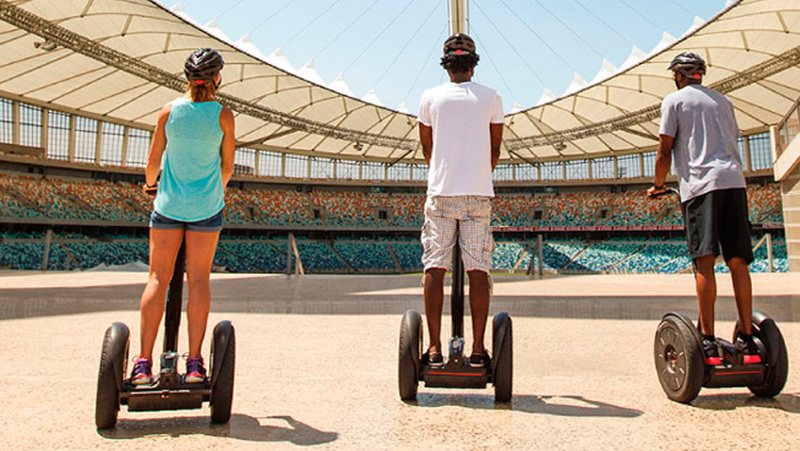 Here you’ll find the top four places in South Africa for a fun and informative Segway experience, lead by a knowledgeable guide who also acts as your Segway trainer. If you’re already convinced and want to purchase Segway Tour gift certificates, head over to our website here. Spier Wine Farm, established 1692, and Segway Tours have teamed up to offer a fantastically unique sightseeing experience in Stellenbosch. The tours take place in the vineyards which offer unparalleled views of the Hottentots Holland Mountain Range, and the sprawling wine farm on the edge of the Eerste River – one of the most scenic spots in the Cape Winelands. There are three tour options to choose from; a one hour tour, a two hour tour with wine tasting, and a two hour sunset tour for the romantically inclined. No prior experience on a Segway is needed, as each tour begins with a 20-30 minute training session to ensure every guest is confident on the vehicle and can glide round the farm with ease – there’s no point being in one of the most beautiful parts of the country if you’re focused on your feet the whole time! Once you’re off, the guide will take your past the fabulous Protea Garden, as well as the bio-dynamic farming zone where you’ll hear about the innovative and environmentally-friendly methods used by the winery. If you choose the wine tasting experience, then following your Segway tour you’ll be treated to three samples of Spier Wine – or grape juice if you’re under 18, this is a family-friendly experience after all! 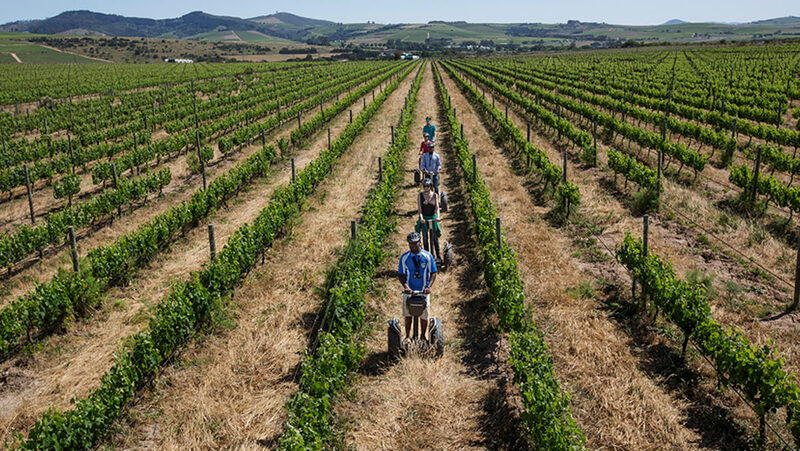 If a scenic vineyard tour in Stellenbosch is what you’re after, then we can’t recommend the Spier Farm Segway Tour enough. Tours also make wonderful experiences gifts which you can purchase online! If TripAdvisor Certificates of Excellence and Tourism Awards are what you look for in a tour company, then Tsitsikamma Segway Tours have it all. The instructors have years of experience operating daily excursions, and have as much focus on safety as they do on ensuring every customer comes away with a huge smile on their face – which we guarantee you will! Tsitsikamma National Park on the Garden Route is one of the most beautiful places on Earth, with towering yellowwood trees and indigenous plant life all around, the forest is continually evolving and growing. Choose either a one or two hour experience and take to the trails on an off-road Segway, breathing in the natural beauty that surrounds you. The tour begins with a 20 minute training course - don’t worry if you’ve never been on a Segway before, the group won’t leave until every person is confident in their abilities – then sets off through Stormsriver Village. Following the carved trail, your guide will point out the various trees and wildlife on the route, and talk about the history of the landscape. Some of these trees are hundreds of years old, and if you’re lucky the tour might go past The Big Tree, an 800 year old yellowwood! The Tsitsikamma Segway Tour is perfect for adventurous individuals, and because it only has a minimum height restriction rather than age limit, it’s also ideal for families with children who love to spend time in the outdoors. If a good price and a variety of tour options is what you’re after, then KwaZulu-Natal based Segway Gliding Tours will be right up your street. Not only do they have the cheapest Segway experience in the country, they also have three available locations and an incredible twelve tour options to choose from. Starting at just R250pp, you can find yourself on a forty-five minute tour around the Moses Mabhida Stadium, or gliding along the Golden Mile of Durban’s promenade. There’s also a Blue Lagoon Tour, a Ushaka Marine World Tour, and even a custom-built Segway obstacle course if you want to put your skills to the test! For the young ones, Segway Gliding Tours offer a Kiddies Track experience that allows children five laps around the obstacle course at Macbanana, so they can see for themselves how fun Segways are without the risk of traffic of pedestrians. 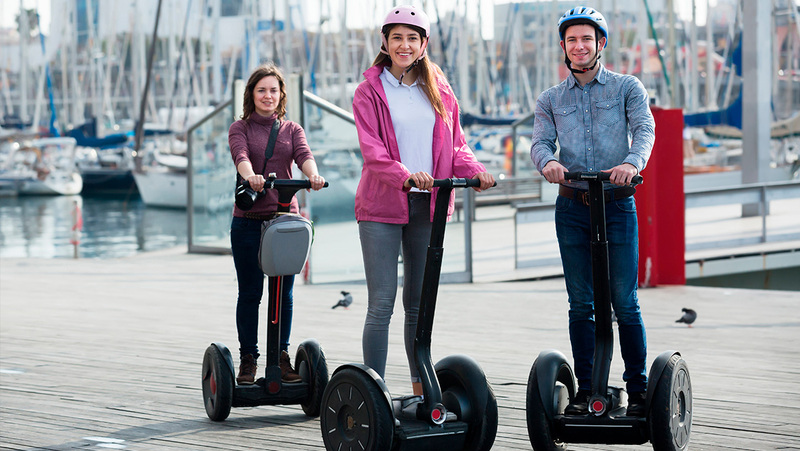 As with all Segway tour companies, Segway Gliding Tours offer a comprehensive training session at the beginning of every experience, so even those who have never laid eyes on a Segway before can zoom round Durban with confidence. Whether it’s the Stadium, the city or the coastline you want to experience, you’re guaranteed to enjoy a tour packed full of facts, history and culture, leaving you with a renewed appreciation for KZN. Residents and tourists alike can benefit from the knowledgeable guides, making these tours great experience gifts as well as fun family activities. Purchase gift certificates online here. Wild X are an adventure activity company based in the Garden Route of South Africa, operating bases in Mossel Bay, Wilderness, Pletternberg, Port Elizabeth, George and Somerset West. In PE, Mossel Bay and Wilderness you can join their team on an exciting off-road Segway Tour, traversing scenic trails that showcase the best of each location. Take in breath-taking coastal views in Port Elizabeth and Mossel Bay, or ride through indigenous forests in Wilderness – the choice is yours! With prices starting at R300 for an Intro Ride, R400 for an Explorer Ride, and R500 for an Adventure Ride, you can choose a package that’s right for you or your family. Expert instructors will spend fifteen minutes training each guest at an individual level on the Segway, starting with how to properly step onto the platform and use your body to direct the machine. Once everyone is happy and raring to go, the group will move off and experience the wonders of the South African landscape! The guides are well-versed in the history and indigenous plants of the surrounding areas, and are more than able to answer any questions you may have should you want to know more – just make sure you’re looking where you’re going whilst you chat! On top of Segway Tours, Wild X also offer quad-biking, paintballing, abseiling, and a host of other activities to get your blood pumping, so if you’re just staying in the Garden Route for a short while or want to try out a new hobby, these are your guys. 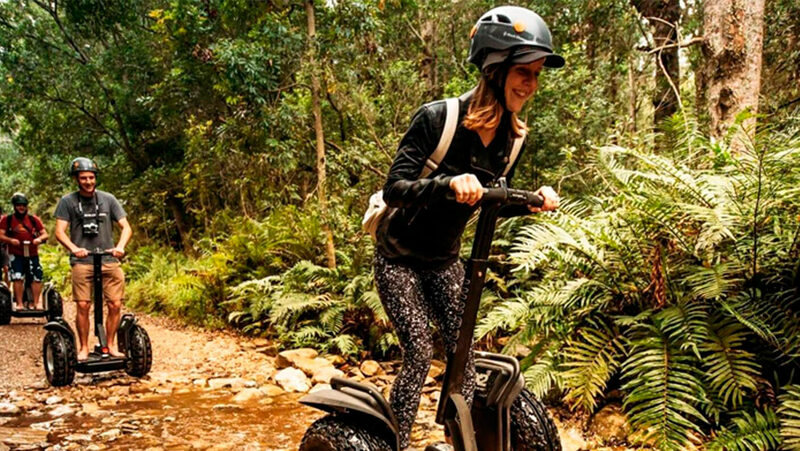 That concludes our article on Segway experiences in South Africa, but we did promise you the strange death of the Segway company owner… You may have heard a rumour that the inventor of the Segway died by driving one off a cliff, but this isn’t entirely accurate. Dean Kamen is alive and well, but Jimi Heselden, who bought the company in January 2010, did die by courteously moving out the way of a dog-walker in the countryside near his home and accidentally reversing over a cliff. Without wanting to end on such a sad note, we should emphasise just how extraordinary these machines are, and the opportunities they present for developments in transport, disability access, and urban security. Segways may be useful towards society, but they’re also incredibly good fun to ride and we implore everyone to have a go, young or old! If you’re looking for a unique experience gift or just want to try something different with your friends, then a Segway Tour is a fantastic option that won’t disappoint. Check out our full range of experiences here and as always, feel free to get in touch if you have questions or want to know more information!